Brendan Drain (Nyphur to his friends) over at Massively recently covered the dire news of 38 studios collapse. It’s an interesting read, but dont disappear just yet because I also want to contrast that article with the recent hullabaloo over the ‘infinite’ Hulkageddon sponsored by GoonSwarm Alliance and The Mittani. Many players (well ok – SOME -players) are up in arms over the apparent wanton destruction being wreaked across high security space. Apparently this is ‘bad for the game’, but is it? Traditional MMO design says you keep your new players safe and warm, to be slowly nurtured into the game and heavily protected from what ever player inspired ganks might lurk out in the darkness. In fact traditional MMO design fences in PVP into specific zones of play: its not an opt out, its an opt in. Which brings us to the next observation: traditional MMOs aren’t doing so well. Contrary to what common sense might suggest (don’t hurt noobs & carebears or they’ll leave the game) EVE defies the excepted wisdom and continues to grow. 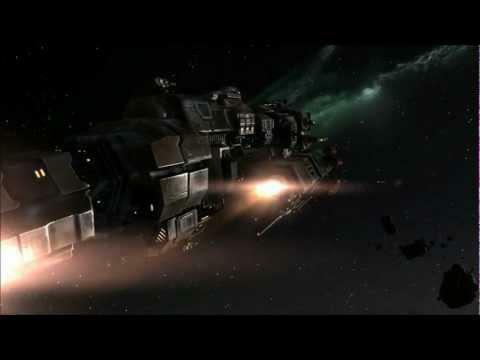 In fact the only point where EVE has wobbled on its axis was when CCP catered to a more ‘fluffy’ experience with Incarna. EVE, it seems, is truly different. Blockbuster titles like SWTOR have showed initial spurts of growth but this (according to any observation of its recent server mergers) has fallen off the perennial cliff. Why? The answer, I believe, is that ‘carebearing’ in EVE is anything but: in fact it might be better to describe such players as survivors. Normally such a term would seem degrading or denigrating but in this instance the miners and mission runners of EVE aught to be applauded because they choose to exist in a game universe with consequences and risk. 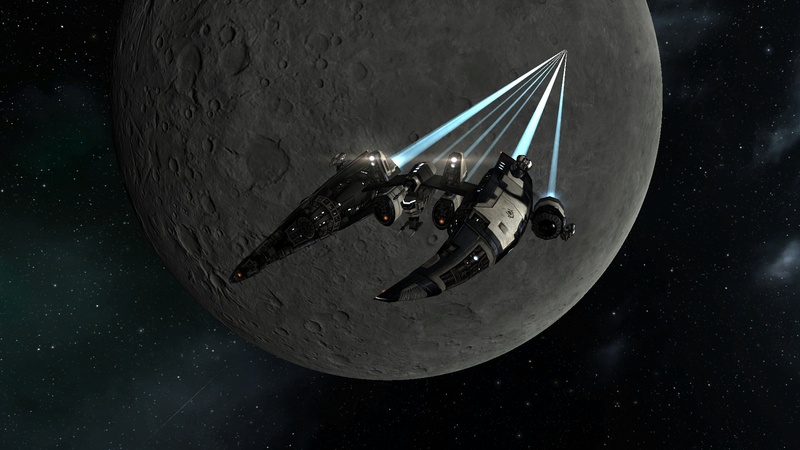 Things – ships, modules, minerals, stations, etc – have value in EVE. That value is created, on a personal level, because those things can be lost. The inevitable realisation that players of those ‘other’ MMOs come to is that, no matter how pretty the graphics or how deep the npc story line none of it truly matters. Exist in the game or leave it: in those MMOs the universe simply doesn’t care, your arrival and passing goes largely unnoticed. Within EVE however your efforts are not inconsequential no matter how small or how trivial. 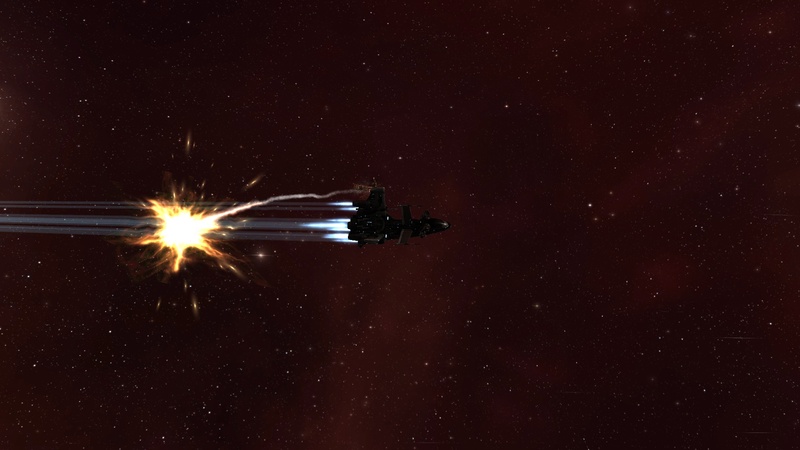 EVEs mechanics are not without fault, and some (probably rightly) argue that the dice are heavily loaded in favour of those conducting the suicide ganks in Empire space, but the dice aren’t loaded to such an extent that players cannot find opportunities to prosper or to beat their erstwhile attacks. Take the humble Skiff. The what? Well yes you can be forgiven for not bringing that particular vessel to mind instantly but the Skiff has some rather useful attributes. Its a small mining vessel, limited to an extent compared to the rock crunching power of the Hulk but the little Skiff has (amongst other attributes) the handy bonus of +2 warp strength. With two low slots a miner could quite easily achieve a warp strength value of 4: requiring no less than 5 warp disruption points to be applied. And its small signature radius means an attacker needs not only to be loaded up with scrams but also needs to lock pretty darn fast. In fact so versatile and agile is this forgotten mining ship that you can (with a modicum of risk) use it to mine in more hazardous regions of space like low sec. But no matter what clever ruse players use to avoid the predatory attentions of the gankers its worth remembering the first law of EVE. Im constantly surprised by players who decry the loss of this ship or the other and it is clear they have forgotten that foremost law (or perhaps have never heard it expounded daily as it was in my early capsuleer career. Its a law that applies not least to EVE, but perhaps also to those in charge of the purse strings. Never risk what you cant afford to lose. 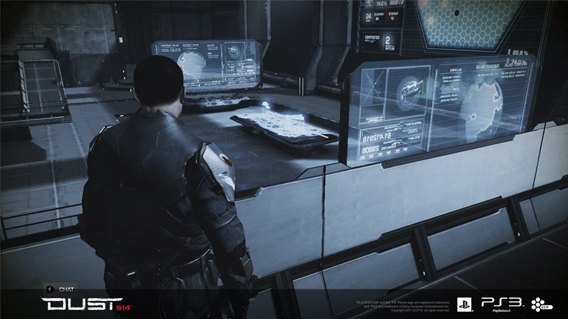 DUST514 goes into beta testing next month and, in a few days, EVE Online’s capsuleer community – freshly decanted from their pods in Iceland will be getting their hands on the console game for the first time. Whilst there will be a few ardent dustmites at FF2012 the overwhelming number of players are surely coming at DUST from the perspective of being PC players of EVE Online. 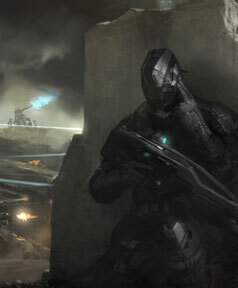 Quite how those players will react to DUST514 is yet to be seen – gamers are gamers after all and a goodly number are going to like it and a few might even purchase a PS3 in order to play it, but for the rest a fair few are more likely to walk away a bit bemused: a nice game but what has it got to do with EVE Online? 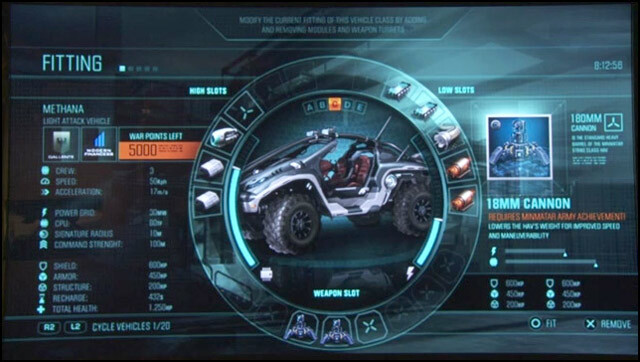 We’ve all heard the CCP line to date, that DUST514 will open the “EVE Universe” to a wider player base but what does that really mean? 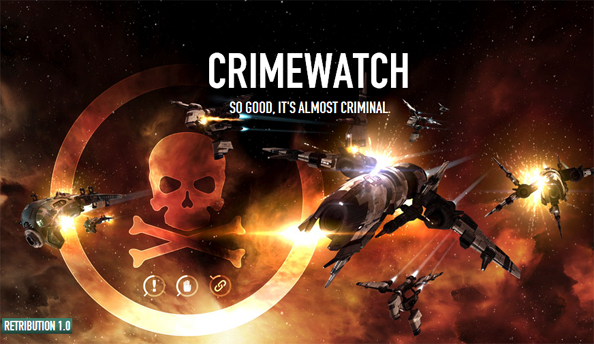 Do CCP expect players to migrate from DUST to EVE because they like the IP? Does EVE somehow become a more popular MMO because it has an associated FPS console sibling? “ISD AeolusWind > Multiple Players ask: How will DUST affect current EVE soverignity mechanics. CCP Wolfman > The exact mechanics behind planetary conquest will be revealed at a later date once we’re totally satisfied with them”. “ISD AeolusWind > Akelica asks: will there be a market between eve players and dust players? I.e. eve players manufacturing vehicles and dust players buying them? What gives? 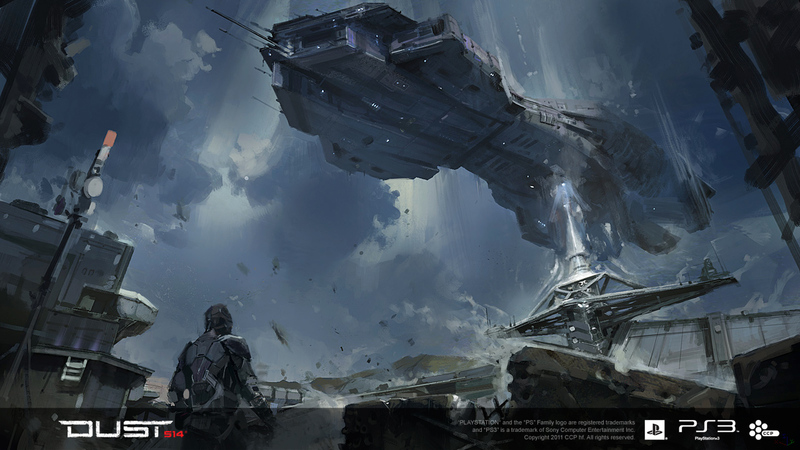 Are CCP saving their powder for a spectacular reveal at FF2012? Well yes that’s probably quite likely but experience of prior FanFests has proven time and time again that CCP reveals “awesome” at FanFest but no actual detail. Planetary Interaction, Walking in Station all got massive hype at prior FanFests, whilst their delivery was less than stellar. 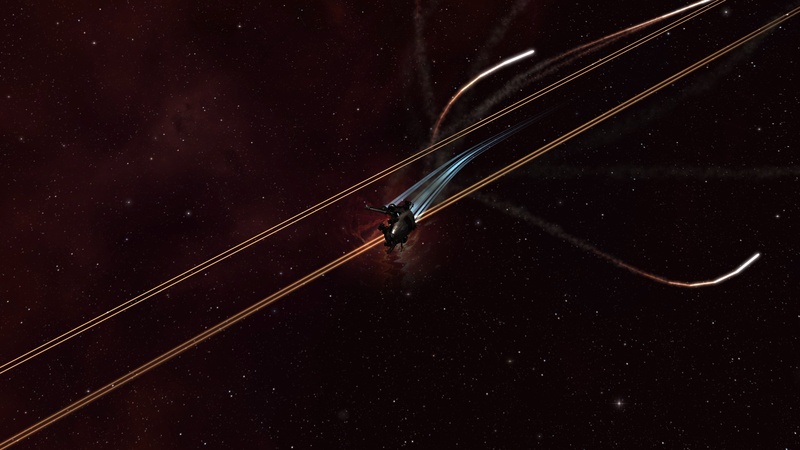 My suspicion grows by the day that for EVE players at least DUST will appear as a rather dull contracts process. We wont be manufacturing battle tanks or launching drop ships from orbit, or pouring over strategic maps with our dustmite brethren. What seems imminently more likely is will be putting up contracts in much the same way as we might with courier jobs. The other side of this proverbial coin is what the DUST players perspective is. Will DUST players care, or even notice, who they are laying down their immortal lives for? Presumably a contract created by a player in EVE will appear to a DUST player in some fashion – which that player (or team) accepts. What’s the interaction between these two player groups? Is either party reliant upon the other in any respect? A big concern must surely be that the DUST players simply pick who ever is splashing out the most cash to them and they carry on regardless meaning that – to all intents and purposes the EVE player has just paid out of his pocket for a glorified random number generator. 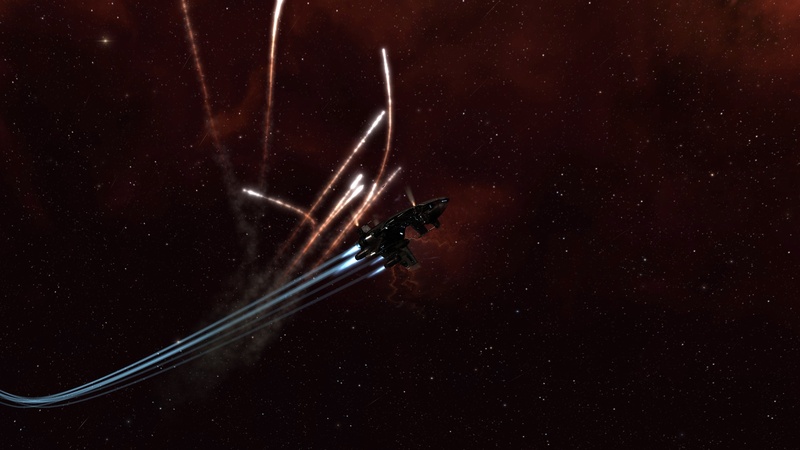 The answer to many of these questions lies of course within the EVE player base – they currently do care about who has sovereignty of this or that system: without those long standing feuds EVE is nothing but a series of interconnected dots. Which means those players are really needed to be embedded, heart and soul, into DUST. Embedded. Heart and soul. Playing it even? Except they’re probably not: its on a console, not on a PC. And that will almost certainly be what emerges from the hangovers in Iceland – good game, but what does it have to do with us?